If you have not seen a wiring diagram, a bypass is most commonly a reversing starter (two switches and an overload) where one switch is connected to the output of the frequency inverter and one switch is connected to the mains. Both power paths have protection. This is often called a Two Switch Bypass. A more complete system places another switch in front of the frequency inverter so as to completely isolate the frequency inverter for service. Surprise! That is called a Three Switch Bypass. Using a reversing starter prevents closing both switches by a mechanical interlock (but you knew that!!). The basic problem with any solar power technology is that the sun is actually a low density power source. Solar PV installations needs lots of modules, solar thermal requires lots of mirrors and piping. Solar thermal is a central generation only solution that creates steam to power a steam turbine. As we have seen with coal, to efficiently and economically derive electrical power from steam, the higher the steam pressure (supercritical and ultra supercritical steam), the larger the turbine (combined-cycle, many hundreds of MW), and the more constant the operation (base loaded), the better. Higher pressure can drive bigger turbines to drive down cost. Getting high pressures from a low density source like incident solar radiation is much more difficult than with high energy density material like coal. The very first application for solar PV was Off Grid Solar. In the last 3 years net metering became available. Solar farming started less than 10 years ago. Years ago all Off Grid Solar Systems were in remote sites where there was no grid access. Now more and more Off Grid Solar Systems are being installed. The main reason is Off Grid Solar Systems cost less over all. 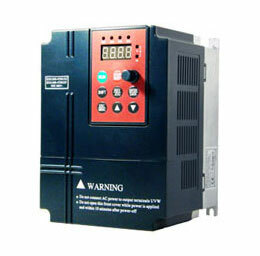 Most have no inverters or maybe one small inverter. I will not argue the facts that the sun is intermittent. I just don't want authors to make a statement that makes no sense. People more and more see something written and start to take those written works as facts. Digital HID is available in AC 110V or AC 230V. For the Solar/Wind Powered options an inverter is provided.Independent studies were conducted in Canada, the US and Germany; presently this is not publically posted information; but I can answer on questions in the interim. We offer the 30 day Free Trial as confirmation of our commitment to the success of the lighting application. More information including Testimonials will be available on our website soon. AC motors are more common, cost less and more powerful. Not saying that DC motors are bad, just with the right solar design AC seems to be a better choice. Use of Solar for water pumping is mainly due to the fact that water pumped when sun shines can be stored. The use of battery will make it expensive. Nowadays DC motors are as good as AC motors in performance and life as such going for DEC motors should be generally preferred as this reduces losses. Government is to formulate policies that encourage producers to invest in solar sector. Encouragements should never be through CAPITAL SUBSIDY. Feed in Tariff can be decided taking into account various subsidies (Policies) along with factors (7 numbers) mentioned earlier. Once a viable and pragmatic Feed in Tariff is fixed producers will be encouraged to invest in solar harvesting. Progress will be slow in the beginning but will gain momentum in due course. Note that 80% of solar generation in Germany is from Rooftop plants. India should take advantage of number of residences/commercial buildings in the country. Provide a conducive atmosphere for the growth of solar harvesting. As such the terms and conditions of loan tenure etc is to be moderated to the advantage of small producers-residential rooftop solar power producers.